Ministers have set out proposals for a 'major uplift' in electric vehicle charging infrastructure to encourage drivers to take up ultra-low emission vehicles. The Government’s Road to Zero Strategy includes an ‘ambition to see at least half of new cars to be (sic) ultra low emission by 2030’ and the £400m Charging Infrastructure Investment Fund announced in the Autumn Budget. 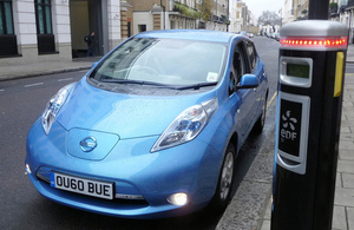 Investing £4.5m in the On-street Residential Chargepoint Scheme until 2020, 'paving the way for thousands more chargepoints by offering funding to help meet the cost of local authorities installing the green kit for residents'. The Department for Transport said that initiatives outlined in the strategy will pave the way for a significant expansion of on and off-street charging facilities, which could lead to hundreds of thousands more chargepoints around the country. It said the strategy is ‘technology neutral’ and does not speculate on which technologies might help to deliver the Government’s plan for a ban on the sale of new petrol and diesel vehicles by 2040 mission. Officials said the Government sees a role for a ‘broad range of technologies, including hybrids’, as part of the strategy. Under current plans, new hybrid vehicles will still be able to be sold after 2040. Labour’s shadow transport secretary, Andy McDonald, said Britain is being ‘held back from the transition towards electric vehicles’. AA president Edmund King warned that the possibility that plug-in vehicle grants may be withdrawn by 2020 'risks stalling the take up of low emission vehicles'.